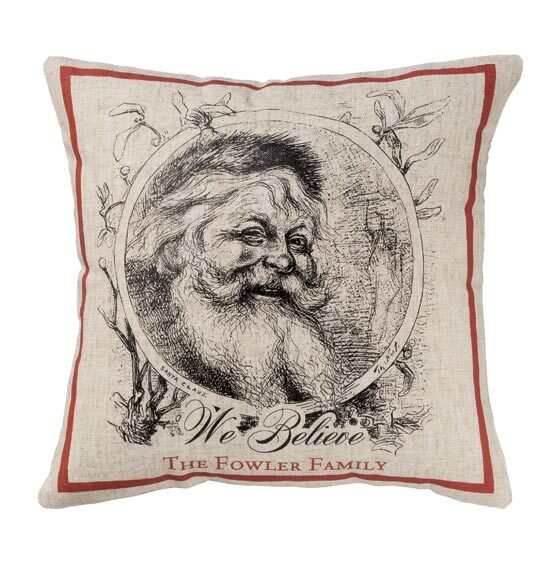 Add a festive accent to a chair or bench with this decorative We Believe Christmas pillow. 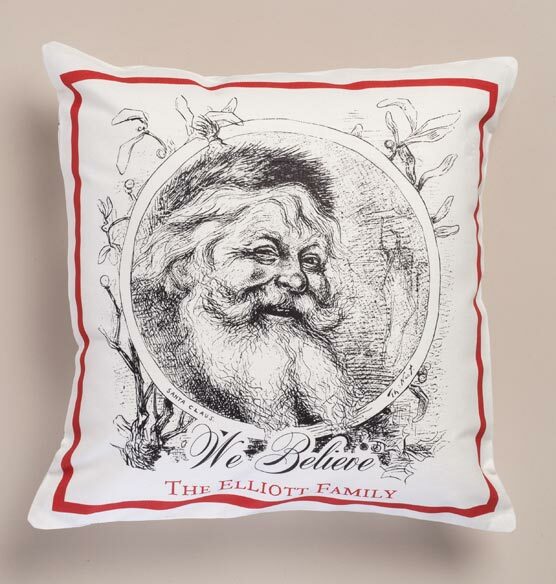 Custom designed exclusively for Exposures, the durable linen custom pillow is an attractive and practical addition to your holiday décor. Add your name or a personalized message to make it uniquely your own, or to create a thoughtful gift. I love the look of this old time Santa!